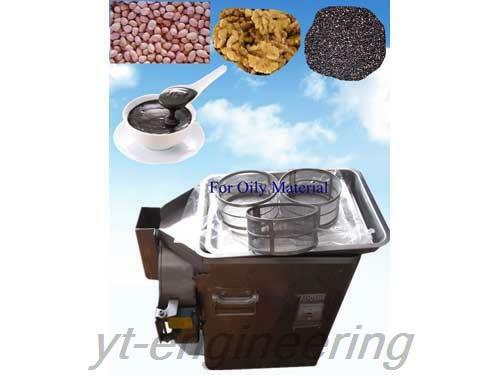 Oily material grinder machine is a good grease grinder. 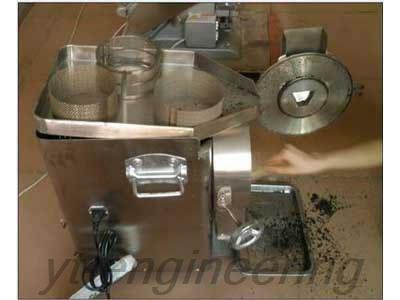 It is specifically researched and developed for crushing and milling almonds, walnuts, peanuts, sesame, beans, spices, food seasonings and other oily substances. It is specially designed to avoid the problem of sticking the machine. 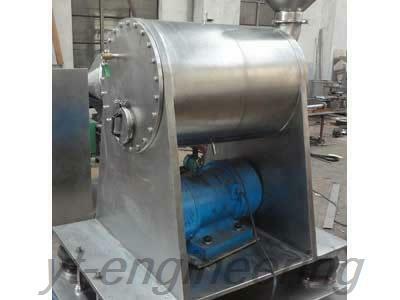 This oily material crusher is capable of good smashing of high content oil materials. 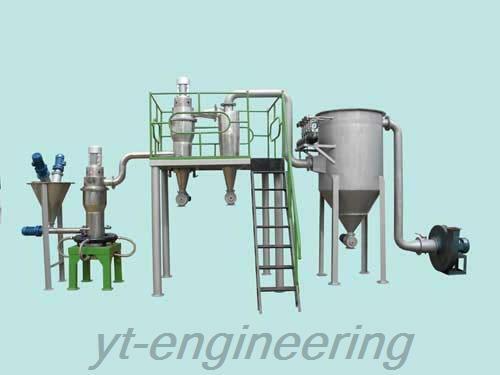 To crush high oil content materials we should use coarse mash and fine mesh for low oil content materials. Oily material grinder machine is suited to food factory, processing shop, shopping malls, supermarkets, pharmacies, clinics, schools, research institutes, family and other units. 1.Oily material crusher features small size, easy in operation, grinding evenly and thoroughly. 2.It’s quick and easy to change the screen of oily material grinder machine and clean the powder particles in grinding groove. 3.Oily material grinder machine is equipped with specially designed tools so as to accelerate the crushing speed. 4.Oily material crusher shell and crushed slots are made of S304 stainless steels, and have polishing and grinding processing; it meets standards of beauty and health.